← Sick as a Dog . . . What’s Your Story? People love bacon. 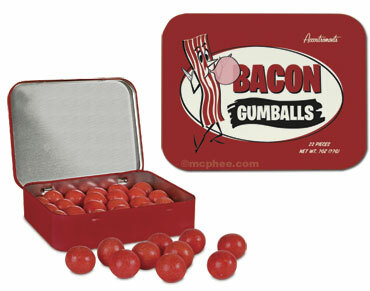 In fact, they love it so much that they have bacon flavored gumballs, lip balm, soap and dental floss. Yes, they really do. I’m sure you’ve heard the expression “sell the sizzle” right? Well if people love bacon that much wouldn’t it make sense to actually focus on selling the bacon? In this economy you must sell the meat of what you’re offer is. Whatever it is that benefits the customer. These days, people can see right through the hype and will not go ahead with using you, or your product or service if it’s about the hype. Consumers are more savvy than that. Selling sizzle is an archaic term and not in the interest of client. Why not offer something of value rather than try to gain interest by promoting something the client may never need, use or want? Whether it’s related to sales or not you have to build value in what you do. If you deal with people, you need to sell yourself, meaning whatever value you bring to their lives. Are you an accountant? How much money have you saved clients on their taxes? A chiropractor? How many people have you helped with similar problems to the client standing in front of you? A salesperson? How can you help me? A teacher? What can I learn from you? Even awards can be perceived as hype. Why did you get the awards? What did you do to deserve it? What made you employee of the month? What will make people use you? You need to focus on the product or service you offer. Sizzle might attract someone initially but if the meat is bad, you’re in trouble. When Honda came out with the Fit, they promoted the cool features of how versatile the interior was. You can fold the seats down and haul all sorts of things. 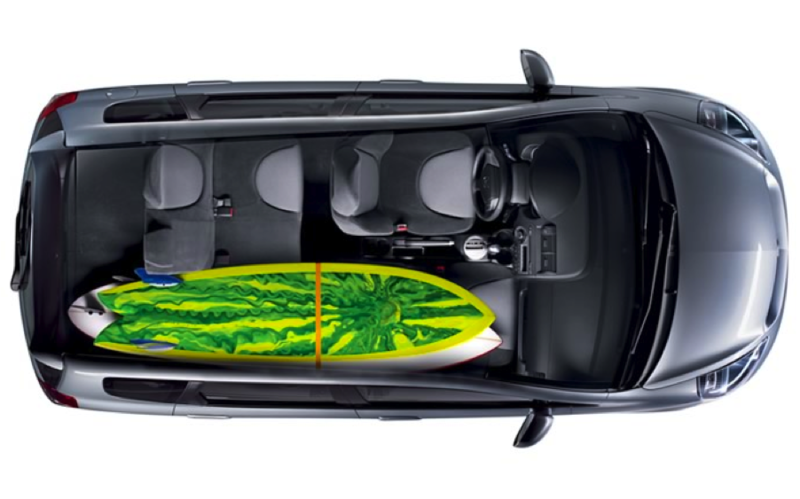 Since I live on the beach I recalled seeing a picture (below) of the Fit with a surfboard inside of the car, to show everyone just how much room it had. I was speaking at a training event and a salesperson in attendance told me this story. Out of curiosity and thinking it may suit his needs, he went to see the Fit, and the Honda salesperson excitedly folded down the seats and told him he could fit a surfboard in there. Just like the example in the brochure, and on the website. The problem? The potential buyer lived in Kansas. At minimum two states away from any type of surfing other than sidewalk surfing and to top it off, this gentleman was in his late 60’s. He asked the Honda sales person if he surfed and if so where. He received no response other than an embarrassed stammer, then the potential buyer reassured him that he was just joking. The Honda salesperson could have easily asked if the buyer went hiking, camping or fishing (or any other Kansas type activities) and upon the potential buyer saying yes to one of those, then the Honda salesperson could show how the roominess of the Fit could benefit the specific buyer’s needs and/or wants. That’s the bacon. Tailoring your offer to the client’s wants and needs. And if the bacon is delicious, the sizzle and the aroma are just those extra bells and whistles that get us excited about devouring the bacon. This entry was posted in Sales Training, Success Coaching and tagged coaching, cold calling, customer sales, customer selling, direct sales, effective sales, handling objections, marketing selling, motivation, progress, rob liano, rock star, rock star sales trainer, sales, sales advice, sales consultant, sales consultants, sales effectiveness, sales funnel, sales management, sales manager, sales marketing training, sales objections, sales presentation, sales reps, sales selling, sales skills, sales team, sales training, selling skills, selling techniques, selling training, strategic selling, training, vp sales. Bookmark the permalink. 3 Responses to Screw the sizzle, sell the bacon! Great post! Many people are selling the hype rather than the actual product… and that results in buyers’ remorse! Awesome post, thanks! As always, you’re right on target!